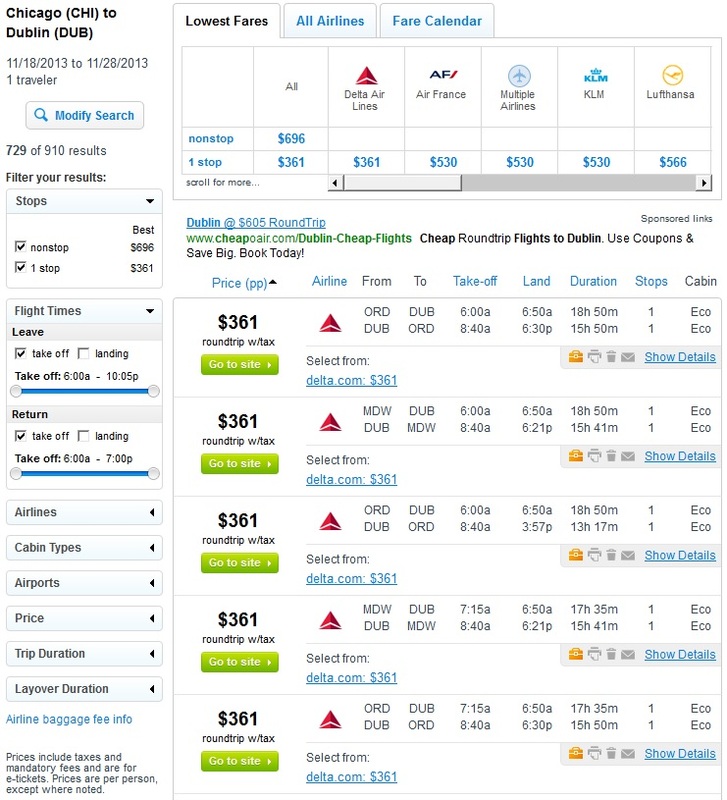 Fares to Dublin, Ireland, from Chicago has dropped to an amazing, low price of $361-$391 roundtrip, including tax! 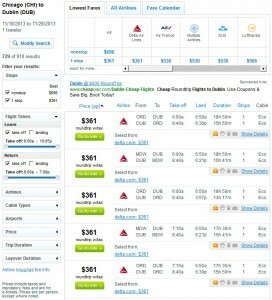 This fare saves up to $450 on the regular cost of this route. This deal is available October 27 – December 5, and January 9 – March 24, including travel over Thanksgiving and Presidents Day week. Dates over Christmas and New Year’s are not available at this price. Flights are on Delta Air Lines, which is part of the Skyteam Alliance, which also includes Air France, Alitalia, Aeromexico and KLM, if you are a member of the any of those mileage programs. This fare is not part of an advertised airline sale and is likely to sell out quickly, so book ASAP! 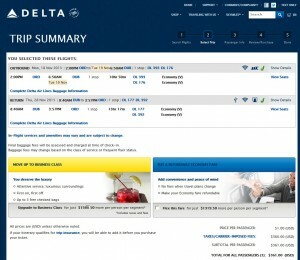 Fares are now $518 roundtrip incl. tax. This is still lower than the best price we’ve seen this year, prior to today.